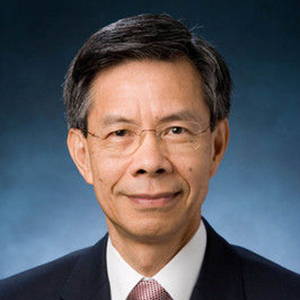 Academic Staff Yam, Peter K.
Mr. Peter K. Yam joined Emerson in 1986 and is currently an advisor to Emerson after he retired as president of Emerson Greater China and chairman of Emerson Electric (China) Holdings Co., Ltd in April 2008. For more than two decades, Mr. Yam played a key role in Emerson’s investments in China, including leading the efforts in setting up Emerson’s first manufacturing operation in Shenzhen, China in 1992 and subsequently the Emerson Electric (China) Holdings Co., Ltd in Shanghai in 1993. Today, Emerson has more than 40 legal entities in the country, including wholly-owned enterprises and joint ventures, in the form of manufacturing operations and engineering centers. Following his retirement, Mr. Yam was appointed as an advisor to the company and is involved in various projects such as the company’s leadership development programs. Mr. Yam is also a former member of the Suzhou Industrial Park International Advisory Committee, a former director of the Executive Committee of Foreign Investment Companies in Beijing, a former member of the Board of Directors of the Hong Kong Science & Technology Parks Corporation and a former vice-president of the American Chamber of Commerce in Hong Kong.